After former CEO Paul Maritz handed the VMware reins to then Chief Operating Officer Pat Gelsinger, the new man in charge pushed the company forward full steam into the cloud computing arena. With the aim of being one of the elite cloud vendors along with Amazon Web Services (AWS), Gelsinger announced a VMware public cloud service to run on its vCloud products and released a beta of its vCloud Hybrid Cloud Service running on Infrastructure as a Service (IaaS) earlier this year. With nearly 30 years in the IT industry, Gelsinger has been held in high esteem in various IT companies and is known for his prolific speaking engagements. Before becoming the VMware chief operating officer (COO) last year, Gelsinger was the president and COO of EMC, and prior to that, the first-ever chief technology officer (CTO) at Intel -- a company at which he spent more than 30 years. It's no surprise that with his extensive industry experience, Gelsinger aims to take VMware to the top of the cloud computing market and, reportedly, took jabs at cloud titan AWS at the VMware Partner Exchange and Structure 2013. It's not all talk; VMware's vCloud IaaS puts the company in direct competition with AWS as well as Google for market influence. Gelsinger is confident that the hybrid cloud message he and the VMware team are putting across is resonating with enterprises. "[Amazon and Google], they're clearly at scale with their public cloud services -- I'm not yet," Gelsinger said at Structure 2013. "[But] I think it's very hard for Google and Amazon to reach into the enterprise. 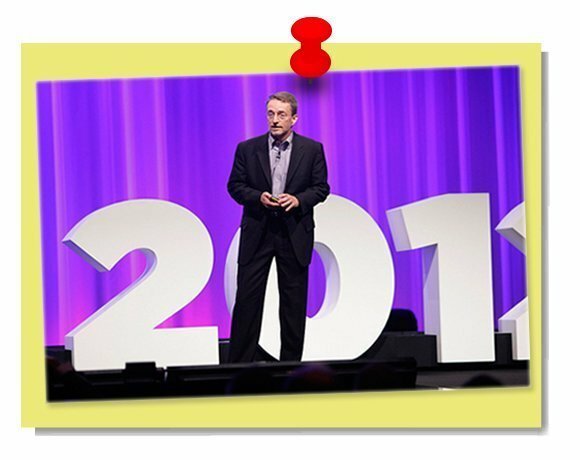 That's where VMware has an extraordinary leadership position already."